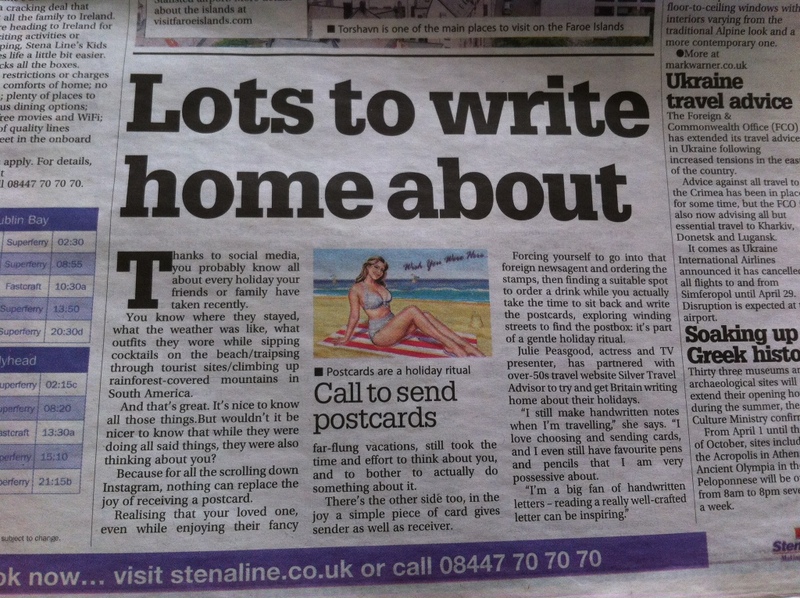 I’ve been reading through last week’s papers and today I bring you some articles regarding travel! I loved this article about the writer’s experience of her first family skiing holiday – something that I intend to experience one day. I’ve been skiing before but hubby hasn’t! So I’ll be dragging Little Miss and hubby with me! 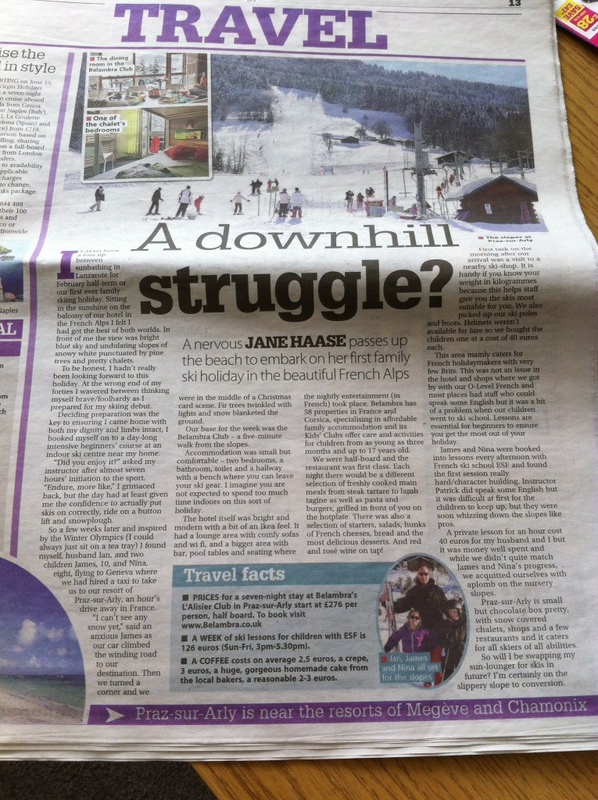 The writer also writes about how she’s nearly converted to being a ski lover rather than a beach lover! 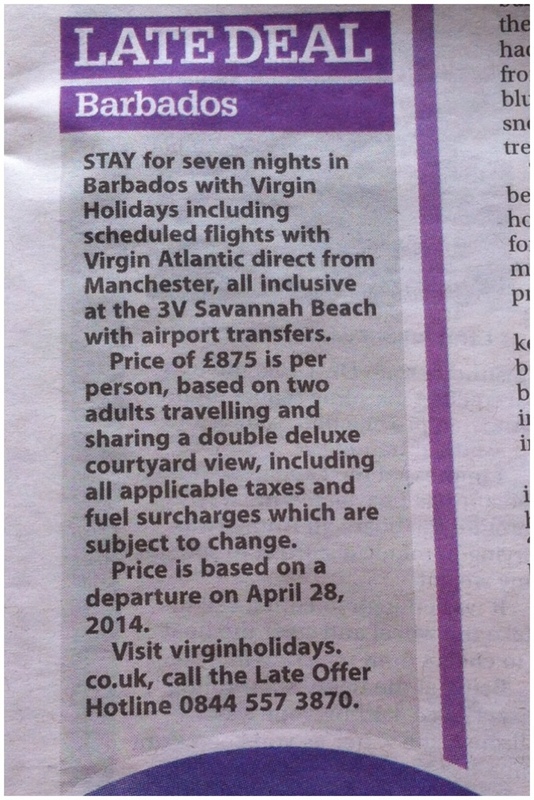 Sometimes you do need to take a look at the smaller snippets that they have in the travel section as they have some fab last minute deals! This one is a good deal I thought! Shame that I can’t do last minute deals at the moment what with Little Miss! 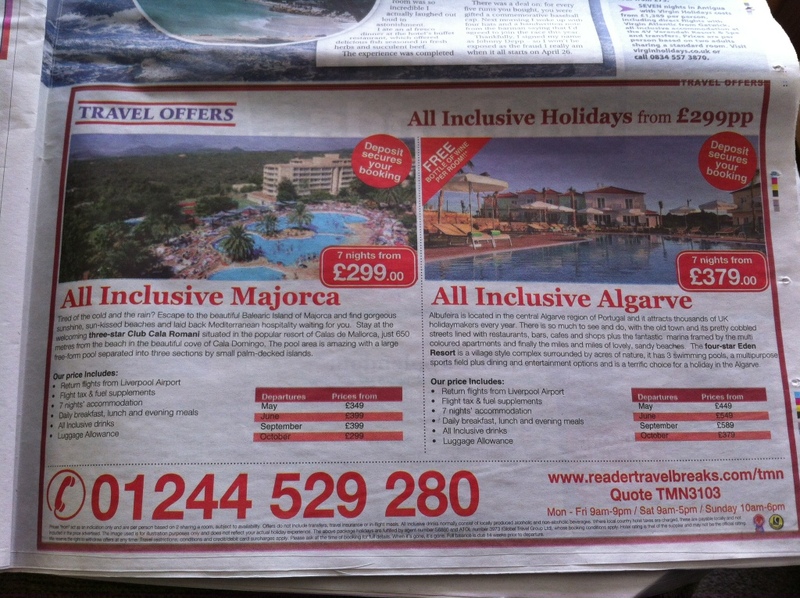 Any holiday that includes her needs careful planning now! Oh and I don’t have any money!! How about you guys? What’s your next holiday destination? Do you send postcards? My next holiday destination is Toronto 😀 Visiting friends and also doing some solo travel, which I’ve never done before, so I’m really excited! That’s great! I’ve never been to Toronto and don’t actually know that much about the place. I must admit I’m too much of a wimp to travel solo! Hope you enjoy!